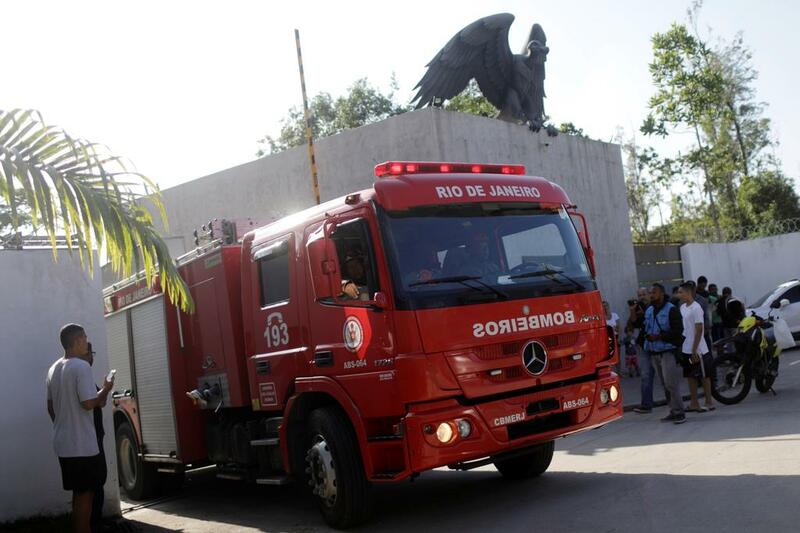 A fire truck is seen in front of the training center of Rio’s soccer club Flamengo, after a deadly fire in Rio de Janeiro, Brazil. A fire swept through the training center and lodgings of Rio de Janeiro soccer club Flamengo on Friday, killing 10 people, including members of the club’s youth side, firefighters and news reports said. 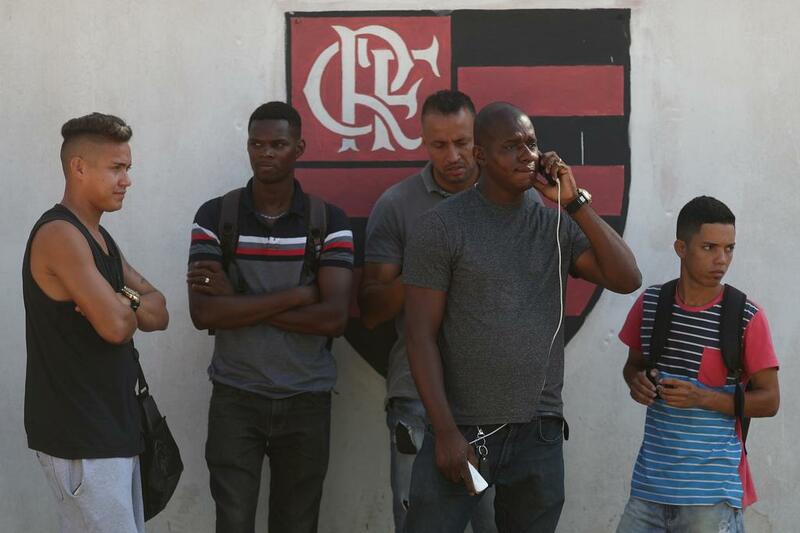 People wait for information in front of the training center of Rio’s soccer club Flamengo, after a deadly fire in Rio de Janeiro, Brazil. After years of financial difficulties, Flamengo last year spent 23 million reais (an equivalent of $6.2 million) to expand the Ninho do Urubu training ground. Zico, who was outside Brazil, wrote on Instagram: “What a shock getting this news here on the other side of the world.” “May the Red-and-Black nation have strength and faith to get through this moment,” the former Brazil midfielder wrote.